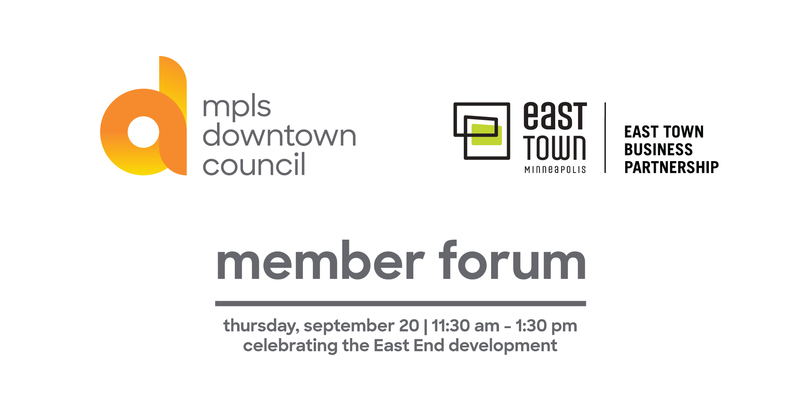 This joint business forum between the mpls downtown council & East Town Business Partnership will celebrate the transformative full block East End mixed-use project bringing new housing, a hotel, expanded commercial space, and a Trader Joe’s grocery store, the first of its kind in the entire City! Developer George Sherman of Sherman Associates will provide an overview of all that the project is taking to be fully accomplished, and its unique role in advancing East Town. We’ll gather at Guthrie Theater for lunch and program, and then visit the East End for tours.